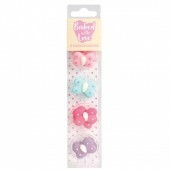 Baked with Love Sugar Pipings - Balloons Decorate your cakes & cupcakes with these fu.. 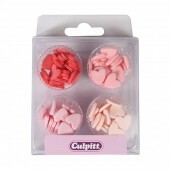 Baked with Love Sugar Pipings - Butterflies Decorate your cakes & cupcakes with these.. 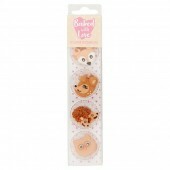 Baked with Love Sugar Pipings - Jungle These adorable handmade baby jungle animals are id.. 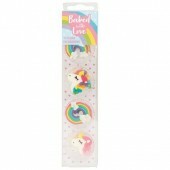 Baked with Love Sugar Pipings - Llama & Cactus These adorable Llama and Cactus decora.. 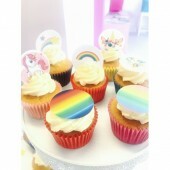 Baked with Love Sugar Pipings - Rainbows & Unicorns Decorate your cakes & cupcakes .. 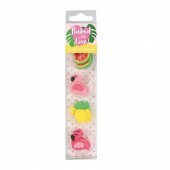 Baked with Love Sugar Pipings - Tropical Flamingo These handmade sugar flamingos are idea.. 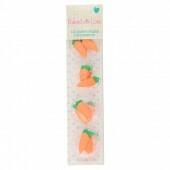 Baked with Love Sugar Pipings - Woodland These adorable handmade woodland creatures are i.. 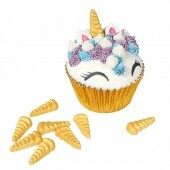 Edible Gold Unicorn Horn Sugar Decorations These gold sugar paste unicorn horns are..
Unicorn Sugarcraft Toppers Beautiful edible sugar toppers handcrafted in the UK. 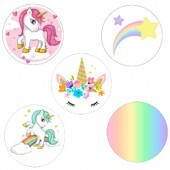 Pack of 6.. 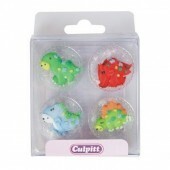 Tropical Flamingo Sugarcraft Toppers Beautiful edible sugar toppers handcrafted in the UK. 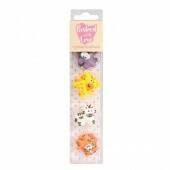 ..
Bumblebee Sugarcraft Toppers Beautiful edible sugar toppers handcrafted in the UK. 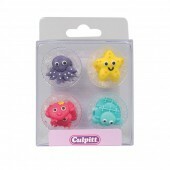 ..
Ladybug Sugarcraft Toppers Beautiful edible sugar toppers handcrafted in the UK. 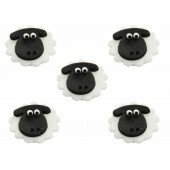 ..
Sheep Sugarcraft Toppers Beautiful edible sugar toppers handcrafted in the UK. 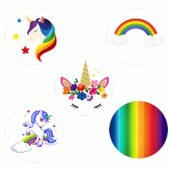 Pack of..
Emojions Sugarcraft Toppers Beautiful edible sugar toppers handcrafted in the UK. .. 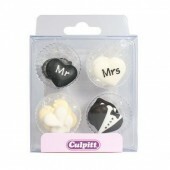 These beautiful Mr and Mrs Love Heart decorations are individually hand piped using royal icing. .. 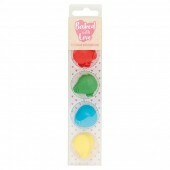 These adorable love bird cake decorations are the perfect cupcake decorations, combined with cup.. 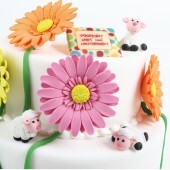 The delightful Bee and Ladybird Sugar cake decorations are individually hand piped using royal icing.. 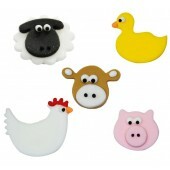 These delightful Farm Themed Sugar cake decorations are individually hand piped using royal icin..
Pawprints Sugar Pipings The delightful Pawprint Sugar cake decorations are individually hand pip..
Cats Sugar Pipings The delightful Cats sugar cake decorations are individually hand piped using .. 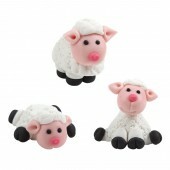 These delightful Dogs sugar cake decorations are individually hand piped using royal icing. They mak..
Red & Pink Mini Hearts Sugar Pipings Give your wedding and Valentine's Day cupcakes the..
Wilton Candy Eyeballs These edible eyeballs are a quick and easy way to bring your cupcakes, ..
Wilton Large Candy Eyeballs These edible eyeballs are a quick and easy way to bring your cupc..
Wilton Large Candy Eyeballs with Lashes Wilton Candy Eyeballs with Lashes Icing Decorations ..